You might think that writing a paper, or collaborating on a project, is a total bore. But if you think that, you’re looking at it the wrong way! Hunting-down primary sources can be fun, if you know what you’re doing. It’s like finding the top prize in a scavenger hunt - or winning “The Amazing Race” - when others had no clue where to look (or where to go). So ... here are some tips to make sure you know what you’re doing (and that you know where to look). Let’s pick a tough subject to embark on this adventure. 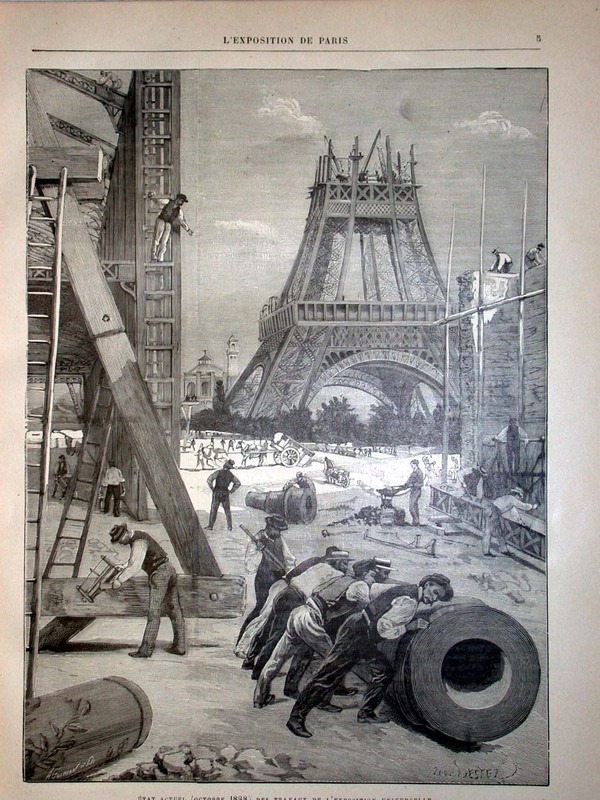 Our goal is to find and verify images supporting a story about the Eiffel Tower - one of the world’s great monuments - with this significant impediment working against you. You don’t read or speak French. Hmm ... where to begin? One thing we could consider is the expected life span of this massive tower. You might be surprised to learn that it was never supposed to last more than twenty years, or so, and that a single vote spared its life. It’s because of that vote we can still visit the Eiffel Tower today. Can you image what Paris would be like without this familiar landmark? 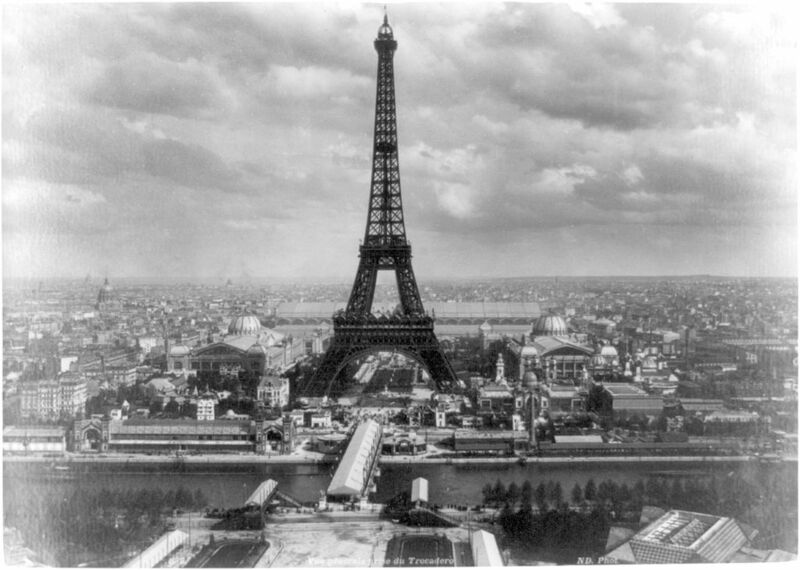 Maybe you’d like to include Eiffel’s original plans in your story about the tower. Or how about what the workers had to endure while erecting this massive structure? 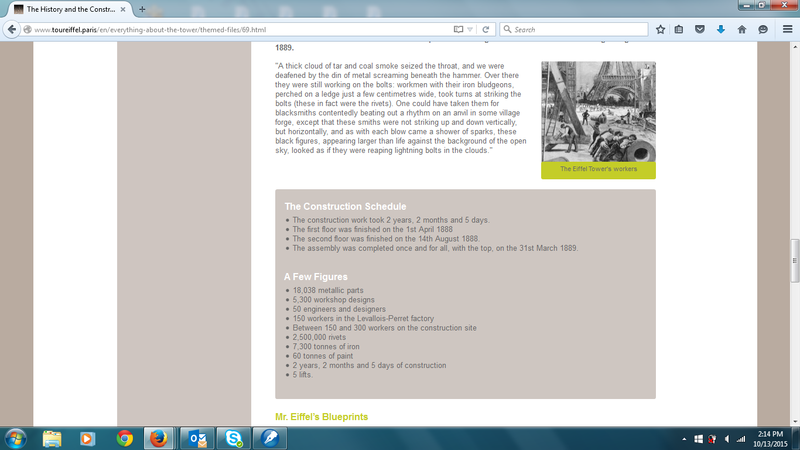 Were any of the parts prefabricated in Eiffel’s workshop? What were the weather conditions like when the tower was built? You can search AwesomeStories to determine whether we have a story about the Eiffel Tower. It turns out ... we do. The first thing you should do is learn the background of the Tower. Then decide which primary sources you need to illustrate your take on the story. Suppose you want to determine whether the early concept drawings still exist. As it happens, they do - and they are really interesting. Where are they? Although a drawing is available at AwesomeStories (where our team has already done the hard sleuthing work), presume it isn’t there. You’re on your own to track it down. How do YOU find it? One way is to use your favorite search engine to see what’s available online for “Maurice Koechlin.” He’s the chap who rendered the tower’s first drawings. You know that because you learned it from “Eiffel Tower - The Original Idea and Sketch” (at AwesomeStories). Examine the listings for what appears to be the most-reliable source. It takes a few seconds to see that this website, written in English, is the official website for touring the Tower. There are many great drawings at this site. We can even see how the Tower takes form as it begins to rise above Paris. However ... nearly all of the drawings are very small. We can't really examine the details. Suppose you want to see the drawings in a larger format, or to find where they originally appeared. Here’s how you tackle that sleuthing challenge. Decide which images you want to study further. Use the “right click” feature on your mouse, calling up “View Image” (or words to that effect). Then “left click” on the image. Its URL will appear in the browser. Reviewing those pages, you find one which says “A Century Exhibited: 1862-1878 - Special collections,” located at the University of Glasgow. Click on its link. When you are at the actual page, you will see many images - really wonderful images - including a much-larger version of the thumbnail you want to use. Not only have you found the larger image, you have also found where it was published. If you cannot read the French description, use a resource like “Google Translate” to get a rough idea of the image description. Since you can tell the image is now out-of-copyright, because it’s from a nineteenth-century work, you are able to use it for your project. Be sure to give proper attribution. While viewing the images, featured on this University-of-Glasgow page, you might get other ideas for illustrating your story. The Eiffel Tower was first introduced at the Paris Exposition, and you will see colorful drawings for that, too. Then ... to add a surprise to your story ... you can let your readers know that someone - a con man nicknamed “Tricky Vic” - actually sold the Eiffel Tower not once, but twice. He collected the funds - for a Tower he didn’t own - from the first person he duped. He skipped town before the second deal unraveled. Let’s switch gears now to examine a more common topic which often poses difficulties. How do we track-down primary-source information (such as the photographer’s name) for pictures? Essentially following the same path that we used to find the drawing of Eiffel-Tower workers, we’re going to find-out who took the picture of President Lyndon Johnson (LBJ) being sworn-in, on Air Force One. This famous picture was taken after President Kennedy was assassinated in Dallas on November 22, 1963. 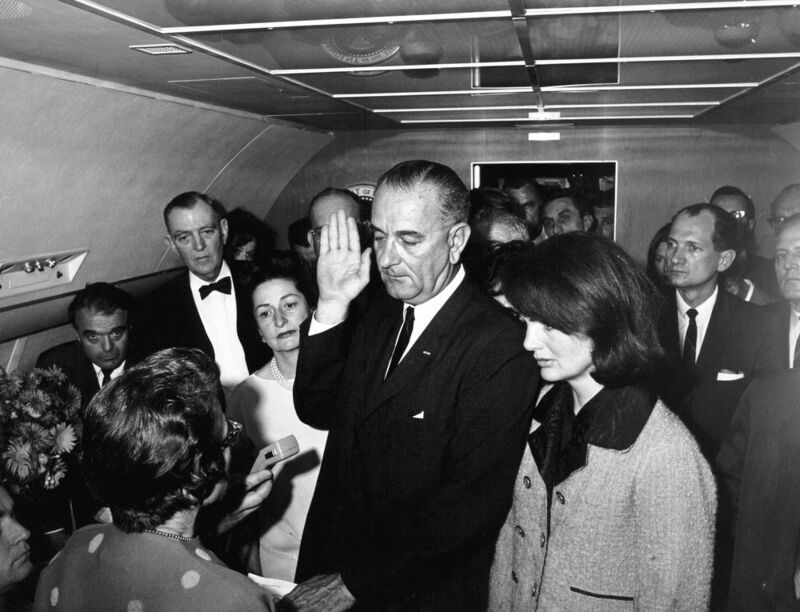 Use the search term “lbj swearing in picture” to begin the quest. In the search-return list, look for the most-reliable sources. We see a reference to the JFK Library and Museum. Not only does it have the picture, the Library has everything we need to know about that picture. The photographer was Cecil Stoughton, then a member of the U.S. Army. 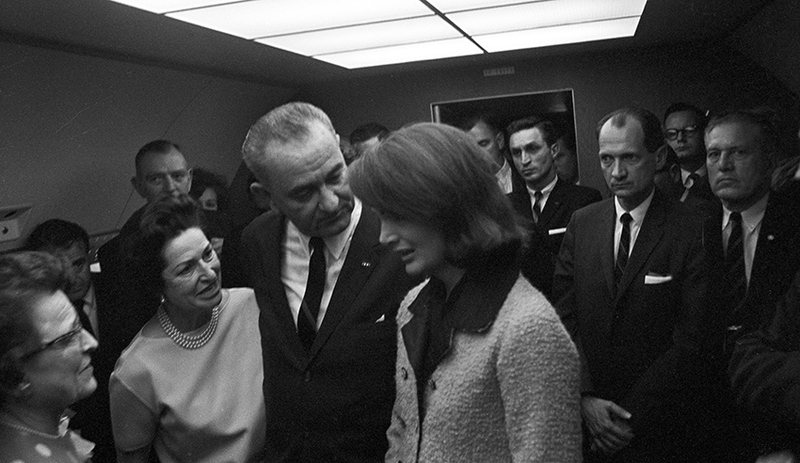 We wonder: Did Captain Stoughton take more pictures, during LBJ’s swearing-in, beyond this famous photo? Surely he didn’t take just one? Digging a little deeper, prodded by our own questions, we find that Stoughton - working on behalf of the federal government - took 21 photographs during the swearing-in ceremony, although just one was released to the news media at the time. If you are producing a project about this topic, you can enrich your work with this information (not to mention including one or two of these rarely seen pictures). All of it is publicly available at the LBJ Presidential Library. Before wrapping-up the project, we might want to ask another question - even if it’s rhetorical (for which we cannot find an actual answer). We can make some of our own assumptions, though, and include those in the story. Why did the government release just one photo, of the 21 photos, which Captain Stoughton took of the swearing-in? Was it someone’s intent to have a single picture personify the moment? If so, why was this photo the standout? President Kennedy’s death in Dallas was an awful time in American history. Does this image, more than the other 20, display that reality? Not a single person has the slightest hint of a smile here. How does that compare with the other photos which are available for us to see? It doesn’t matter if you don’t have the actual answers to all of these questions. By raising them, you are causing your readers to think more deeply about what happened during the swearing-in. You are encouraging them to explore more after they have finished reading your work. Your findings, plus all of your supporting primary sources, will help you to master even the toughest research-and-writing assignments. Then ... get ready to enter the winner’s circle as a victor of those difficult sleuthing events! Bos, Carole "Be a Super Sleuth - Find and Verify Primary Sources" AwesomeStories.com. Aug 28, 2015. Apr 24, 2019.